The end of the tax year can be a stressful time for owners of SME’s. As it can take some time and experience to complete these, it can be quite difficult for owners of SME’s to take time out of the day running of the business in order to work on the year-end accounts. At the Financial Management Centre Farnborough, we are able to help you complete your year end taxes and all other administrative tasks relating to the end of the fiscal tax year. Not every business is required by law to prepare annual Financial Statements (accounts). However, – in order to complete a computation and calculate any liability – some form of accounts must be produced. There is an exception for Limited Companies. These companies are obligated to file their accounts with Companies House within nine months of the year end. Another reason for a publicly traded company to use Year End Reports, is to inform shareholders of the current financial situation of the company. Companies can pick their own year-end and deciding the right time for you can make the process a lot easier and faster. Many business owners will pick a calendar year or the tax year, which would normally start early April. Picking the tax year will make your tax liability based on the most current legislation, which minimises the chances of fines or any other penalties based on the fact that your company’s financial structure might not be fully up to date with new legislations. We can help you pinpoint the perfect moment for the start of your fiscal year. This is mostly dependant on your company’s situation and (seasonal) activities. 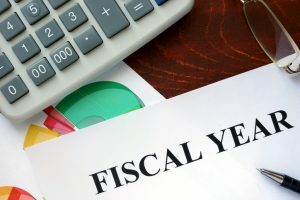 Picking a time where you might have more time to do inventorial tasks due to it being a more quiet time for your sector, is often the best timing to finish the fiscal year. We can help you with inventory management, and with preparing your accounts by using your monthly bookkeeping and accounting records. For those businesses who do not benefit from any sort of management accounts: Do not worry. The year-end accounts their only record of the financial performance for the accounting period. We can help you interpret these figures and, explain what will affect your business and how you can improve the financial state of the company. Why not get in touch today with our Year End Accounts Farnborough service to see how the team can take care of your Management Accounts needs. Call today on 0127 640 9036.